This can be hard to adjust to if you’re not used to it. If you’re in that boat, I want to encourage you to invest a little time to familiarize yourself with the scientific naming system for plants. I promise you, it’s not that hard to learn, and the small effort you put into learning this will pay off abundantly as you delve more into the botanical world. The system of scientific names for living things is an exquisitely crafted and elegantly useful tool. It enables people of different languages around the world to use a universal system of names, and a provides a framework for understanding how different plants relate to one another. It’s a very handy thing to be familiar with. Even though the naming system can seem difficult at first, that tends to be just a “beginner’s hump.” As you learn more botanical names, it gets easier and easier to learn additional names. And as you become familiar with how botanical names work, you’ll start to appreciate how useful and informative the system is. It’s even kinda fun, once you get into the swing of it! Here’s my guide to getting started with scientific plant names. This guide is aimed at the complete beginner. If you’re already familiar with throwing botanical Latin around, you know most of this stuff already, although you still might want to skip down and skim through the “Picky Points” and “Pronunciation” sections. Why Not Just Use Common Names, Instead Of Those Weirdo Botanical Names? Why not just use common names for plants? The problem with common names is that, even though they can be handy sometimes, they can also sometimes be horribly confusing. There are two big problems with common names: the same common name can be used for completely different plants, and one plant might have multiple common names. For example, what does the word “pawpaw” mean to you? If you live in most areas of the United States, “pawpaw” refers to a native North American fruit with creamy whitish-yellow flesh that’s shaped like a Russet potato. But in many parts of the Caribbean, the same word “pawpaw” refers to a completely different fruit, the one most Americans know by the name “papaya”, a melon-like tropical fruit. Two unrelated, very different fruits share the same name — it gets pretty confusing when people have a conversation about “pawpaws”, and each person is referring to a different fruit. But if we use scientific names, there is no confusion. 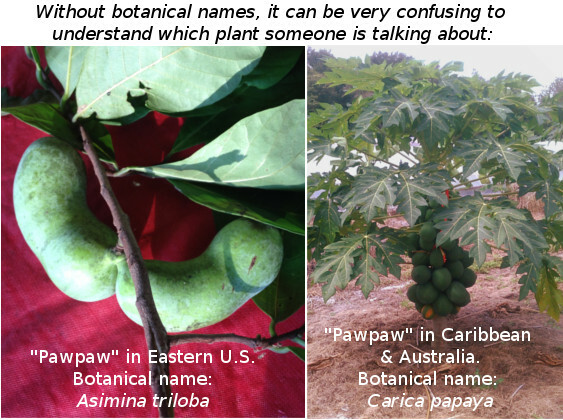 The potato-shaped native North American “pawpaw” is ‘Asimina triloba‘, and the tropical melon-like “pawpaw” from the Caribbean is ‘Carica papaya‘. Or even more frequently, a single plant will have multiple common names in different areas. For example, the fruit known as sapodilla in American English, in Mexico it’s “chicle”, in the Bahamas it’s “dilly”, in the Virgin Islands is “mespil”, in Jamaica it’s “naseberry”, it’s “nispero” in Puerto Rico and Central America, and “sapota” in India. Another example of how confusing common names can be is the word “sapote”. (Pronounced “suh-POE-tay”, it’s believed to be derived from a word in a Native American language that meant something like “soft fruit.”) The problem is, it’s used as a common name for a number of completely different fruits, most of which aren’t even related to one another. There’s “black sapote”, a species of persimmon native to Mexico with large, black-fleshed fruits that taste kind of like chocolate pudding, hence its other common name, chocolate pudding fruit. There’s also “mamey sapote”, pronounced “muh-MAY suh-POE-tay”, a fruit popular in Cuba, which tastes sort of like a really, really good baked sweet potato. And there’s “white sapote”, a fruit in the same family as citrus. It tastes somewhat like vanilla pudding. If you’re sharp-eyed, you’ll notice that three of the plants in this list share the same first word in their scientific names. What that tells us is that those three plants are in fact related to each other, they’re in the same genus. That’s another advantage of scientific names: they indicate relationships between plants. More on this in the next section. As an example of how this works, here’s a genus you already know: Citrus. It’s obvious to even a casual observer that oranges, grapefruit, lemons, limes, and tangerines are all closely related, although they’re quite distinct from one another. All these types of fruit are classified as species within the plant genus Citrus. The words used for species names may or may not have any obvious meaning. The word “sinensis” means “from China”, which is where Citrus sinensis, the sweet orange, is from. The original intended meaning of “reticulata” is a more obscure. The word derives from a classical Latin word for a net, and perhaps someone chose the name because they thought the inner rind of a tangerine looked something like a net. That’s a pretty typical situation: some scientific names have an obvious meaning in Latin, and for other names the original intended meaning, if any, can be pretty obscure. Within any given species, sometimes all the individuals are very similar. But in many species, there are differences from one individual to another. To describe these difference, we use categories within a species: subspecies and variety. Not every plant has these, but you will see them used sometimes. In keeping track of particularly good types of fruit trees, we talk about plant varieties a LOT, so this is an important concept to be familiar with. If there are naturally occurring genetically distinct populations within a species, sometimes the botanists will designate them as subspecies, and give each a Latinate subspecies name. These subspecies names are not always widely used or accepted, and most plants don’t have a subspecies name at all, but it’s good to be aware of them for when you do see them. For an example of some fruit subspecies that are widely familiar, most of us know of the two categories of avocado we see in the produce section of the supermarket. One of these types is the “California avocados”, (although nowadays they often come from Mexico or Chile), often generally called ‘Hass’ avocados. They are the size and shape of a pear, with dark, bumpy skin, their flesh has a high oil content, making them very rich-tasting. The other type you see in the stores are the ones marketed as “Florida avocados”, that are much bigger, with smooth green skin and a lower oil content in their flesh. The scientific name of avocado is Persea americana. The “California avocados” come originally from Central America, including the highlands of Guatemala and sometimes are officially designated as a subspecies: Persea americana subsp. guatemalensis. The “Florida avocados” come from South America and the Caribbean, and are sometimes called Persea americana subsp. americana. (There’s also a third subspecies, unknown to most Americans because it doesn’t show up in the stores. That subspecies, Persea americana subsp. drymifolia, is from the highlands of Mexico. It’s a very exciting group, because plants in this group tend to be more cold-hardy than avocados the other two more commonly grown groups.) These avocado subspecies are sometimes also called avocado ‘races’, although ‘race’ is not a strictly defined botanical term. Subspecies classifications are frequently contested. As with the avocados, some botanists recognize the three naturally occurring populations of avocados as subspecies, some don’t. But it’s good to be aware of this term for when you do see it. Another subdivision with a species is much more widely known: varieties. A variety is usually a name for a distinctive cultivated selection of a species, and those names often show up in the produce section of the grocery store. For example, within oranges, there are the varieties “Valencia”, “Navel”, “Hamlin”, and “Parson Brown”. Within tangerines, there are “Dancy”, “Clementine”, and “Chinese Honey”. A plant can have both a subspecies and a variety name. For example, the Hass avocado could be written as Persea americana subsp. guatemalensis, ‘Hass’. Not every plant has a variety name associated with it — they’re mainly just for some types of cultivated plants. Variety names don’t have a Latinate form, and they aren’t strictly part of the scientific naming system, they’re just a convenient way for people to keep track of particular lineages of cultivated plants. Identifying a new genus or species or subspecies is something is something that can only be done according to a series of official academic rules. Whoever proposes a new genus or species or subspecies must publish it in a scientific journal and it must be accepted by their colleagues as a valid genus or species or subspecies. Naming a new plant variety, on the other hand, is highly informal, and anyone can do it. If you plant some apple seeds in your yard, and one of them grows up into a particularly interesting apple tree, you’re welcome to give it a variety name and distribute it to the world under that name. That’s what Anna Dorsett did, when she planted some seeds from a Golden Delicious apple in her yard in the Bahamas. One of them grew into a tree that actually made apples in the Bahamas, and has been propagated and distributed under the name Dorsett Golden. You can find it for sale in nurseries across Florida. Years ago, I found a particularly good form of American persimmon (Diospyros virginiana) growing in Turkey Lake Park in Orlando. So I propagated it, and named the variety Diospyros virginiana, ‘Turkey Lake’. 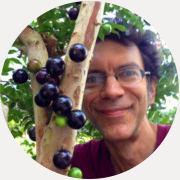 And when some friends and I found an excellent mulberry tree (Morus alba) growing on Northwest Sixth Street in Gainesville, we propagated it and named it Morus alba, ‘Sixth Street’. Above the level of genus, there’s one more level of classification that plant people often use: the plant family. 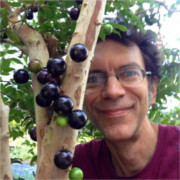 While the plants that are within the same genus are usually recognizable to the average person as close cousins, within a plant family, the relationship may or may not be similar enough for the average person to recognize them as related. We already discussed the genus Citrus. Have you ever eaten a kumquat? Kumquats are kind of like a citrus fruit, but they are distinct enough that they are classed in their own genus, Fortunella, which is closely related to the genus Citrus. That one is close enough it’s fairly obvious. There are other plants in the same family as Citrus where the relationship is not so obvious. Of particular interest on this website are the fruits white sapote (Casimiroa edulis) and bael fruit (Aegle marmelos), neither of which seems very citrus-like at all. There are also the herbs curry tree (Murraya koenigii), extremely popular in Indian cooking, and the herb rue (Ruta graveolens), which is used medicinally. Neither of these plants seem especially citrus-like to the casual observer, either. Even though these plants are in the same botanical family as citrus fruits, they are more distantly related to citrus than kumquats are, and the similarities take a trained eye to spot. That’s the way it goes with plant families — sometimes it’s obvious that plants in the same family are related, and sometimes the resemblance is much more subtle. When you see a plant family name, you can recognize that’s what it is because the botanical names of plant families always end in the suffix “-aceae”, pronounced “AY-suh-ee.” (Here, I’m writing “AY” to represent the long “a” sound in English, as in “bay” or “hay”.) When used in a sentence, the family name is usually preceded by the word “the”. So the family containing Citrus is the Rutaceae, pronounced “Rue-TAY-suh-ee”. The familiy containing mulberries, figs, jackfruit and breadfruit is the Moraceae, pronounced “more-AY-suh-ee”. The family containing mangoes, cashews, sumac, and poison ivy is the Anacardiaceae, pronounced “anna-car-dee-AY-suh-ee”. There’s a section further down that explores pronunciation of botanical names more fully. These family names are (usually) derived from the name of one genus within that family. In the examples above, the citrus family, Rutaceae, is named after the genus of rue, Ruta. The mulberry-fig-jackfruit-breadfruit family takes its name from the genus of mulberries, Morus, so the family is the Moraceae. The family containing mangoes and cashews is named after the cashew genus, Anacardium, so it’s the Anacardiaceae. When speaking informally about plant families, it’s fine to describe the family by whatever genus seems most prominent to you. So if you want to refer to the Rutaceae as “the citrus family”, go ahead — there’s no requirement in informal speech to call it “the rue family”. And you might informally refer to the Anacardiaceae as either “the mango family”, or “the cashew family”, or even “the poison ivy family”. Take your pick, any of these is fine. This system of classifying living things is called biological taxonomy. There are higher levels of taxonomy than family, going up to super-family, order, super-order, and all the way up to kingdom and phylum. If you’re interested in seeing the full taxonomy of any plant, it’s usually listed on that plant’s Wikipedia page. Anything above the family level is considered higher-order plant taxonomy. Some plant nerds get really into higher-order taxonomy, and have even been known to do uber-nerdy things like building a super-order garden, containing at least one plant from every super-order. But mostly on this site we’ll limit our discussions of plant taxonomy to the family level and lower. You’ve probably already noticed that I’m writing all scientific names in this article in italics. It used to be convention to write genus and species either in italics, or underlined, to distinguish them from the typeface of the rest of the words surrounding them. For some reason, this rule doesn’t apply to family names. With the rise of the internet and the variability of what fonts are available on different devices and websites, this rule is no longer strictly obeyed. But it’s good to be aware of. One picky rule about botanical Latin: you always capitalize the first letter of a genus, and keep the species name lower case. It’s always “Citrus sinensis“, never “Citrus Sinensis“. Some other rules revolve around the fact that the words “genus” and “species” are derived from Latin, and they’ve each carried over some of the quirks of that language into English, especially in their plural formation. The word “genus” is another irregular: the plural of “genus” is “genera”. One genus, two genera. So something that’s “between species” is “inter-specific.” If you graft sweet orange (Citrus sinensis) onto a sour orange rootstock (Citrus aurantium), you’re doing an “inter-specific” graft. But if you get more adventurous and try to graft Citrus sinensis onto kumquat, which is in its own genus, Fortunella, that graft is between two different genera (remember, genera is plural of genus), so it’s an “inter-generic” graft. Plant family names are not considered to be part of the official botanical name of a plant, which is just genus and species, (and possibly subspecies if there is one). And the scientific names of families are always capitalized. So if you wanted to talk about mango in a scientific way that is completely unambiguous about what species you are referring to, you’d say Mangifera indica, in the family Anacardiaceae. To save space and time, when you’re writing the same genus name multiple times in one passage, after you’ve written the name in full the first time, it’s acceptable for the rest of the passage to abbreviate the genus to just its first letter, followed by a period, and then the species name, which is always written in full. For example, if you’re writing a paragraph about different Citrus species, and you mentioned sweet orange first, you’d write it out in full, as “Citrus sinensis“. Subsequently in that passage, you’d write it as C. sinensis, and any other species in the same genus would be in the same format, as in C. reticulata, etc. The only exception would be, of course, if you also talk in the same passage about another genus whose name begins with the same first letter, which would get very confusing. Also, be sure to remember: ya gotta write out that genus name in full the first time! Don’t be one of those annoying people who neglect that part, and write in a fruit forum about how they’re growing “A. montana“, leaving you to wonder what the hell genus they’re referring to. If you know what genus something is in, but don’t know which species it is within that genus, it’s okay just to say “species”, abbreviated “sp.” For example, Himalayan mulberry is an outstanding variety, and it’s definitely in the genus Morus (all mulberries are), but I don’t know what species it is,and nobody else I’ve talked to seems to be able to positively identify which species it is, either. So when pressed for a scientific name, I’d call it Morus sp., ‘Himalayan’. Here’s some good news: there is no official “correct” way to pronounce botanical names. As long as you pronounce all the parts of a name, it’s your call how to pronounce it. So if anyone ever tells you you’re pronouncing a botanical name wrong, you can snap back at them that there is no official correct pronunciation for botanical names. That said, even though there aren’t any wrong pronunciations, the point of language is communication, and so it’s helpful if we all try to pronounce these names in a way that’s at least somewhat recognizable to others. There are some rough conventions on pronunciation of scientific names, which might vary depending on what part of the world you’re in. First, at least when English speakers are pronouncing scientific names, letter “c” is pronounced like “s” when before an “e” or “i” or “y”, and “g” has a soft “g” sound before those letters, as in “gentle”. Both letters have a hard sound when not followed by those vowels. Showing that soft “c”, I pronounce the botanical name of mangosteen, Garcinia mangostana, as “gar-SIN-ee-uh mango-STAN-uh”. Showing the soft “g”, I pronounce the name of chocolate pudding fruit, Diospyros digyna, as “Die-OSS-per-ose dih-JIE-nuh”. Following that rule, the genus Quercus, with a “c” followed by “u”, would be pronounced with a hard “c” sound: “KWER-kiss”. I once heard someone pronouncing that genus with the an ‘s’ sound for the “c”, as in “KWER-sis”, but since the “c” in “Quercus” is not followed by an “e” or “i” or “y”, I’d call that pronunciation, while not wrong, less justified than using a hard “c”, and more likely to lead to confusion about what plant name you’re talking about. Also, there’s an older convention of how to pronounce Latinate names in English, which can be helpful when in doubt. That convention is: when you see the combination “ae” and “oe”, ignore the first letter of the combination. Just pronounce the “e”. In American English, in many words that used to be written with an “ae” or “oe”, but pronounced “e”, we’ve simplified the spelling, dropping that silent “a” or “o”. But British English retains them. So So the words written in American English as “encyclopedia” and “ameba” are written in British English as “encyclopaedia” and “amoeba”. But on both sides of the Atlantic, the vowel is pronounced as just “e”. Be advised: You will hear all five of these pronunciations out “in the wild”! Some other names where that “oe” and “ae” rule comes into play. The tropical fruit kwai muk, a relative of breadfruit and jackfruit, has the scientific name Artocarpus hypargyraeus. Following the rule of pronouncing “ae” as if it’s just “e”, and giving the “g” a soft sound since it’s followed by a “y”, I pronounce that one “art-oh-CAR-pus high-par-jih-REE-iss”. For another example of this, a common mayhaw species in Florida is Crataegus aestivalis. I pronounce it “krah-TEE-gus ess-tih-VAL-iss”. Without the “ae” rule, I’d be scratching my head about how to pronounce that one. To dive even deeper into the pronunciation thicket, if you have a “c” or “g” followed by an “ae” or “oe”, if you follow the rule of pronouncing the double vowel as just “e”, that then makes the “c” or “g” have a soft sound. For example, one relative of mango has the scientific name Mangifera caesia. In figuring out how to pronounce that species name, you’ve got your choice of whether you want to follow the “oe” and “ae” rule. Following that rule, the species name would be pronounced as if it were spelled “cesia”, which makes the “c” soft and gives a pronunciation of “SEE-zee-uh” or “SEE-see-uh”.. But if you don’t follow that rule, the “c” stays hard, and “caesia” would be pronounced either”CAY-zee-uh” or “CAY-see-uh.” Whether to follow the “oe” and ae” rule is completely up to you. Why not pronounce scientific Latin names the way the Romans did? This question sometimes comes up — the idea is that since botanical names are Latin, why not pronounce them the way the original Latins did, Julius Caesar and his gang in ancient Rome? The answer is that scientific names for living things are a system based on the Latin language, but the names have been modified for this specialized purpose to such an extent that it’s not truly Latin any more. I’d call it a Latin-derived, or Latinate, system, rather than calling it actual Latin. Many scientific names are based on place names, or are Latinized versions of people’s last names, using combinations of letters that just didn’t exist in classical Latin. And many of these Latinate scientific names have been concocted in recent centuries, apparently by people who didn’t know how classical Latin was pronounced, because they sound silly if pronounced in the ancient way. For example the cabbage family is the Brassicaceae. In the language of Julius Caesar, the letter “c” was always pronounced hard, like a “k”. Pronounced as the ancient Romans did, this would be pronounced roughly as “brassa-cocky-eye”. Which just sounds goofy.